Yes according to the sign you can order from a “Store Partner” onsite, but easiest is the Repeat Pet Food Delivery Scheduling Online. Why go through the bother of running out, buying at the store, and lugging home when you can setup a feeding schedule that takes care of all that automatically, including free delivery. 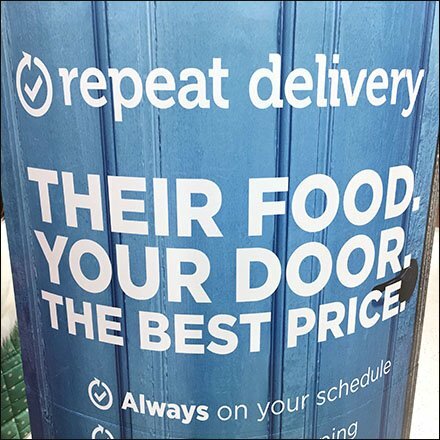 This Repeat Pet Food Delivery Scheduling Online sign seen at Petco. Repeat delivery available at petco.com/rd.